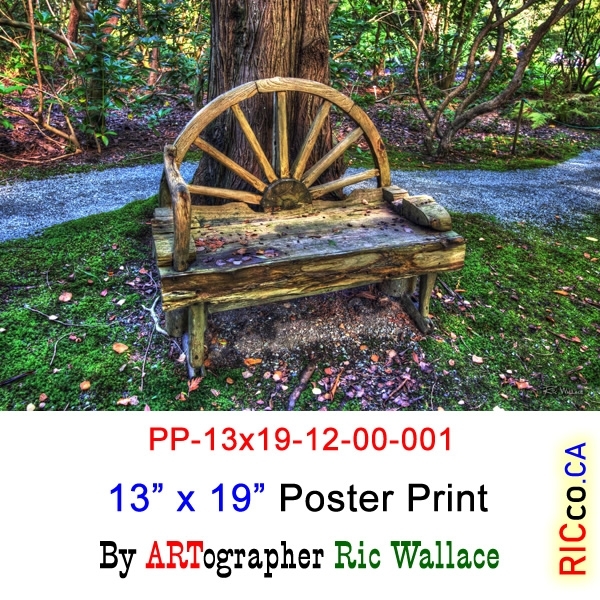 Contact Ric Wallace to purchase. 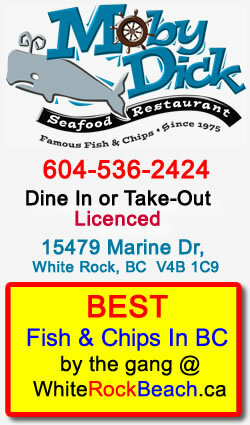 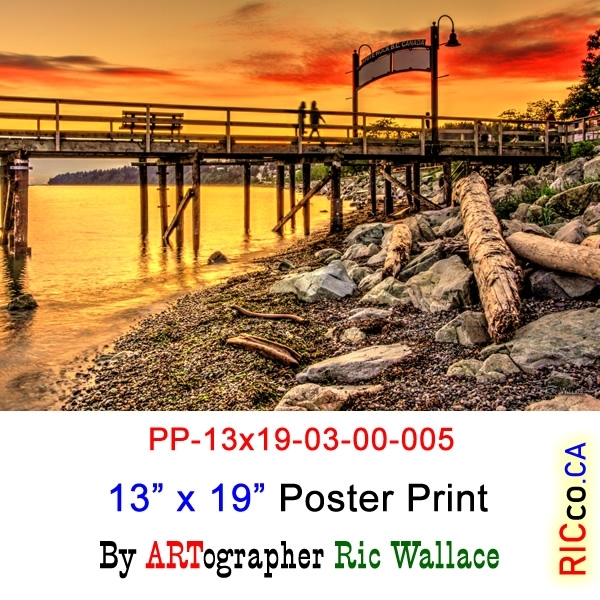 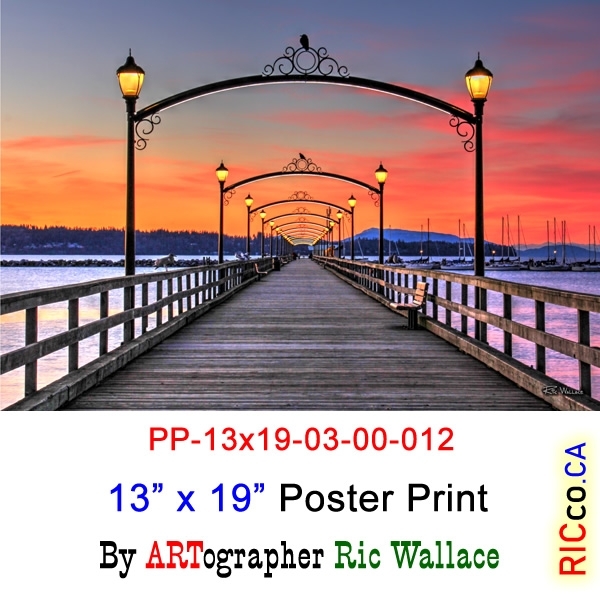 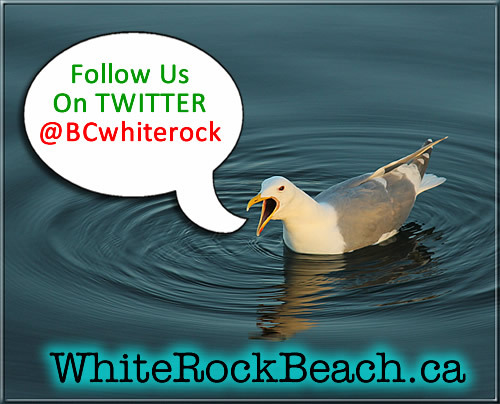 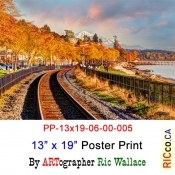 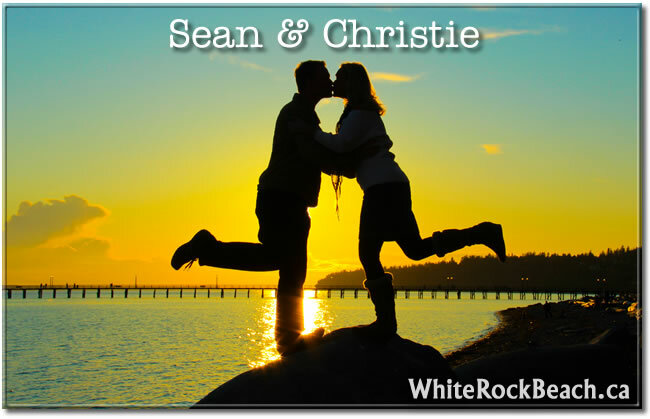 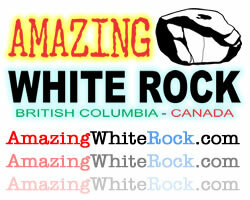 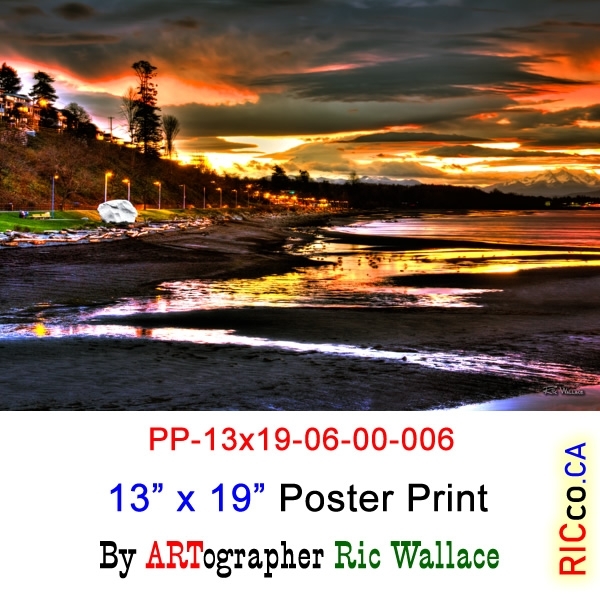 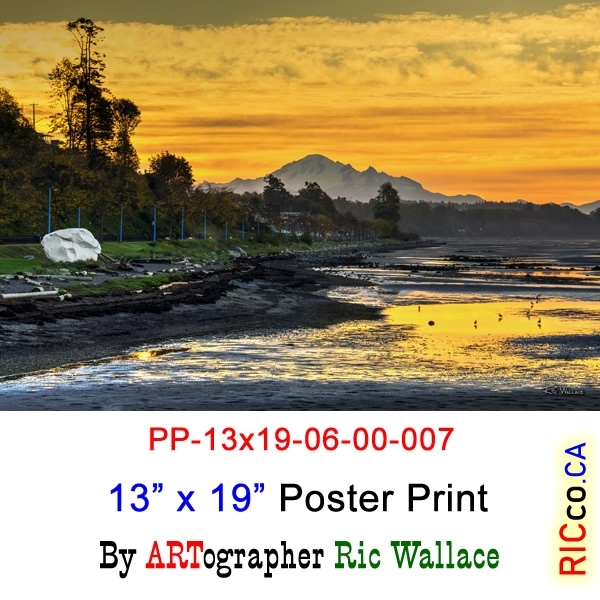 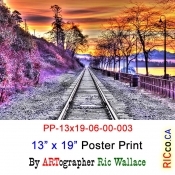 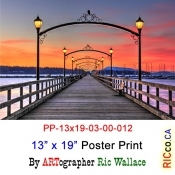 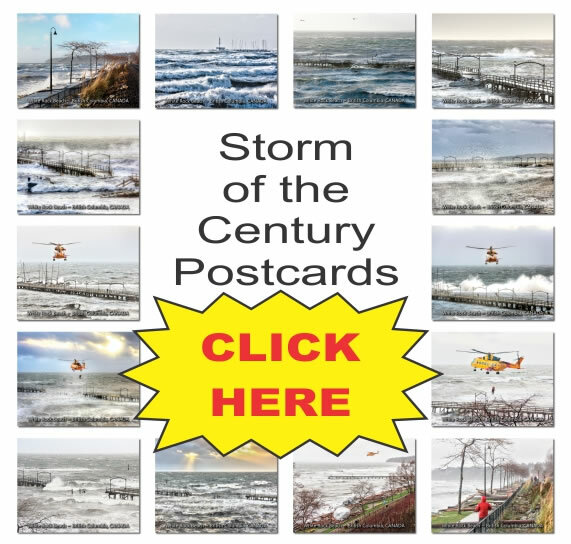 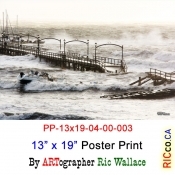 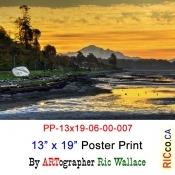 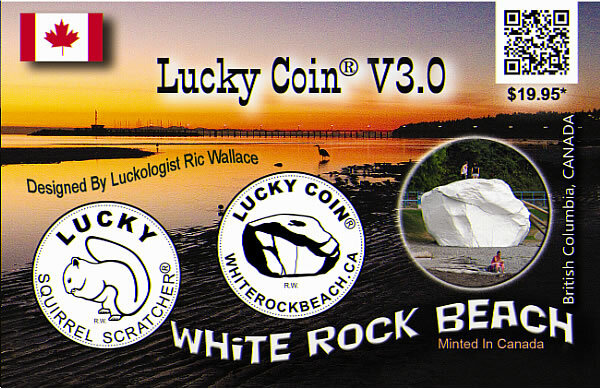 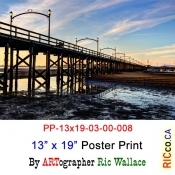 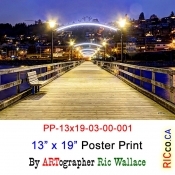 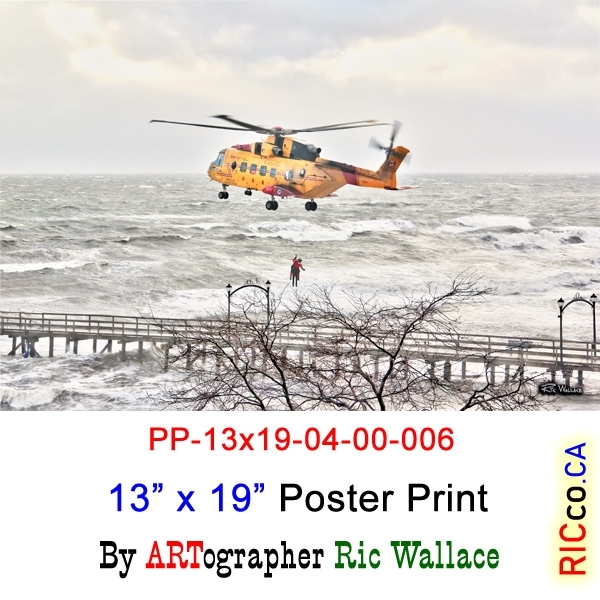 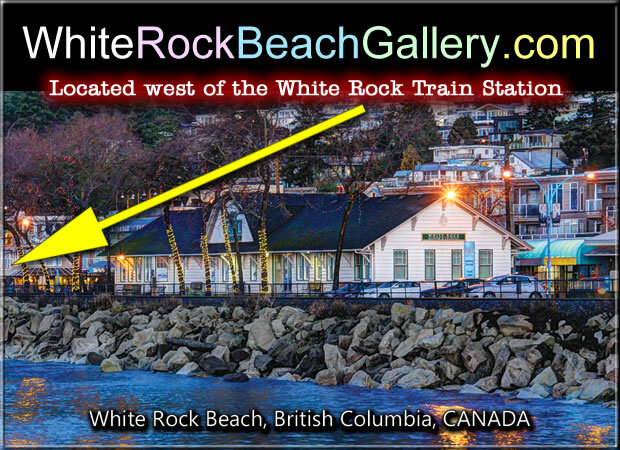 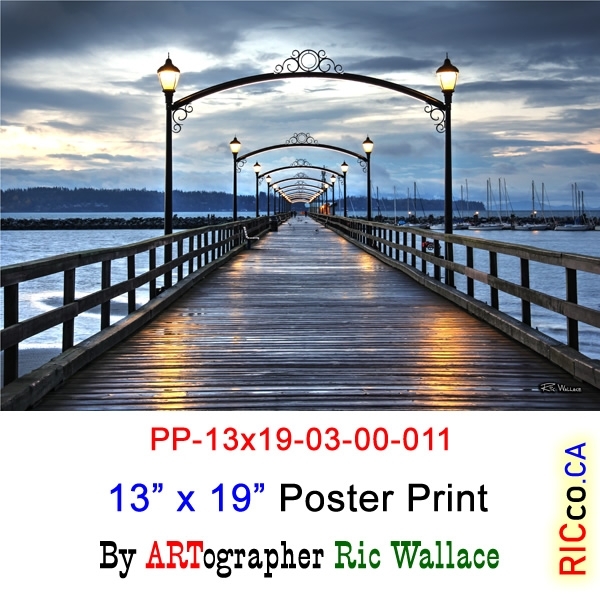 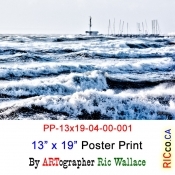 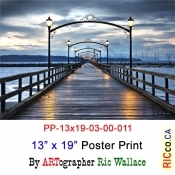 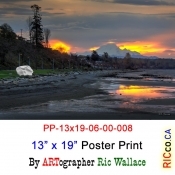 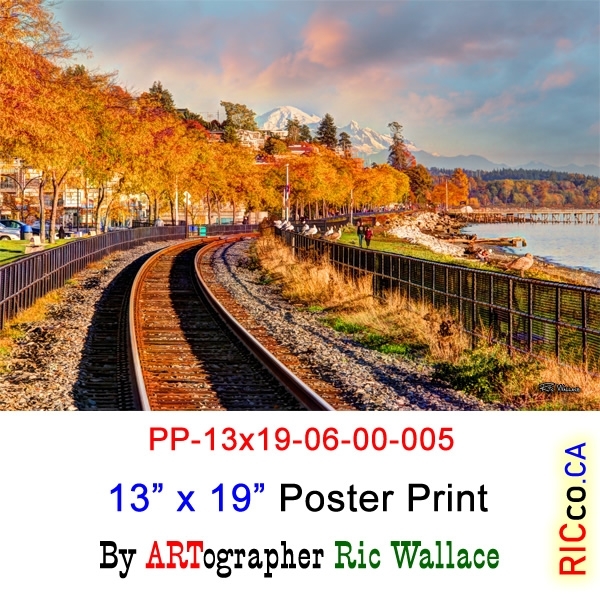 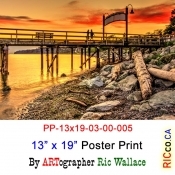 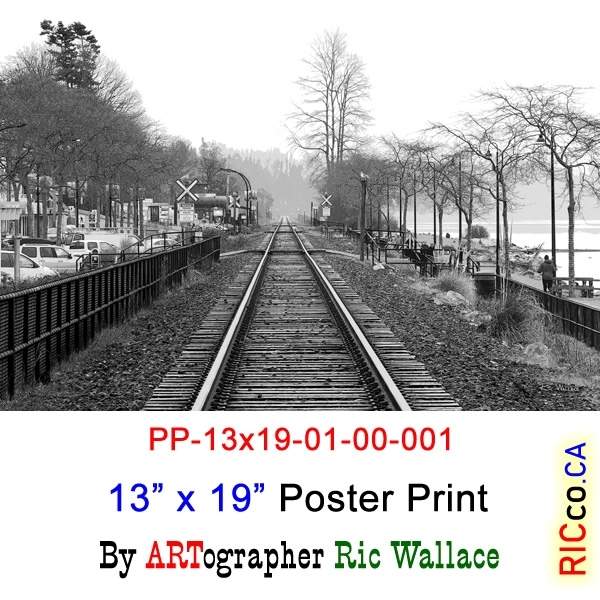 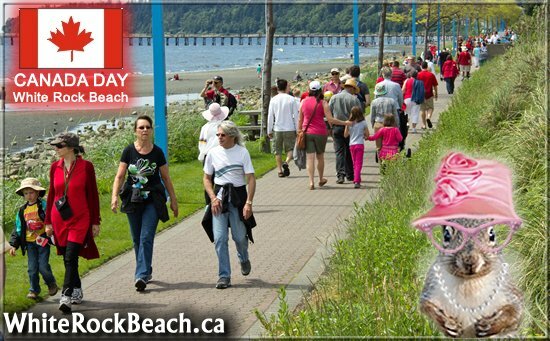 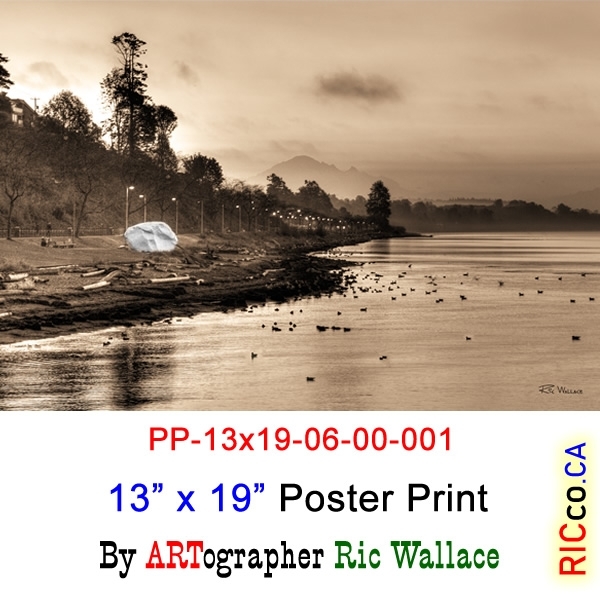 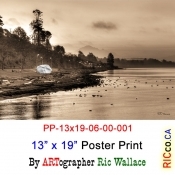 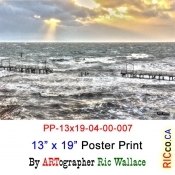 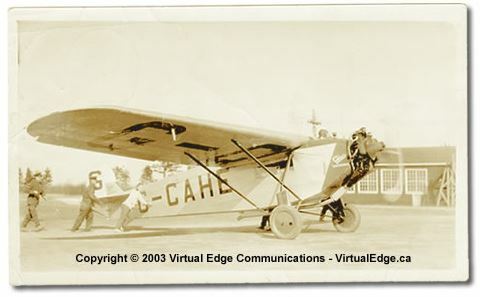 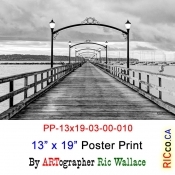 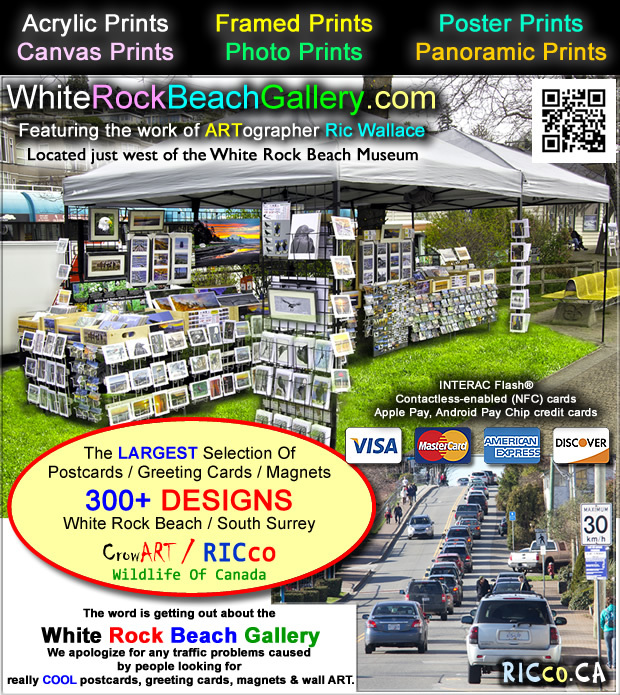 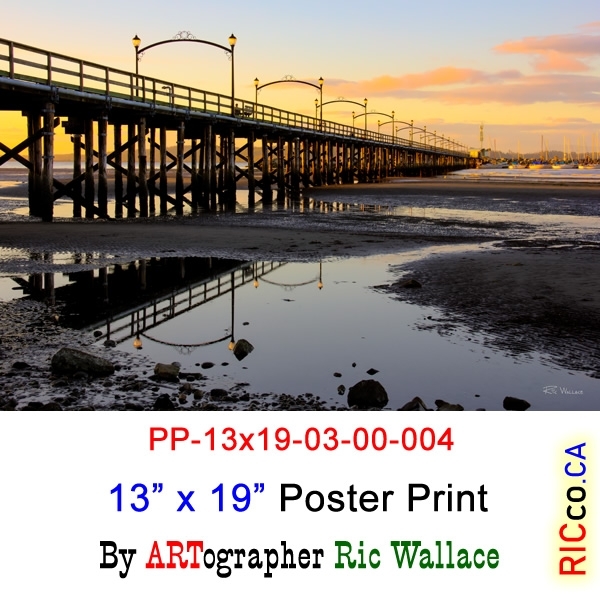 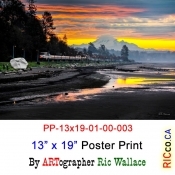 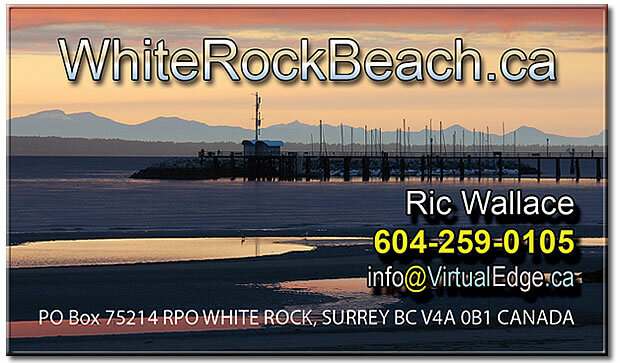 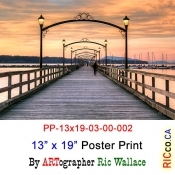 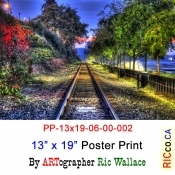 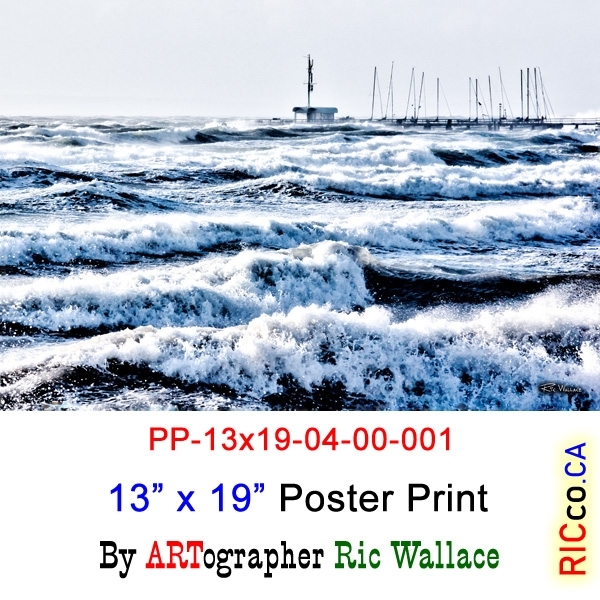 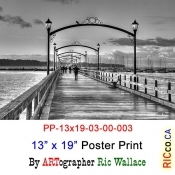 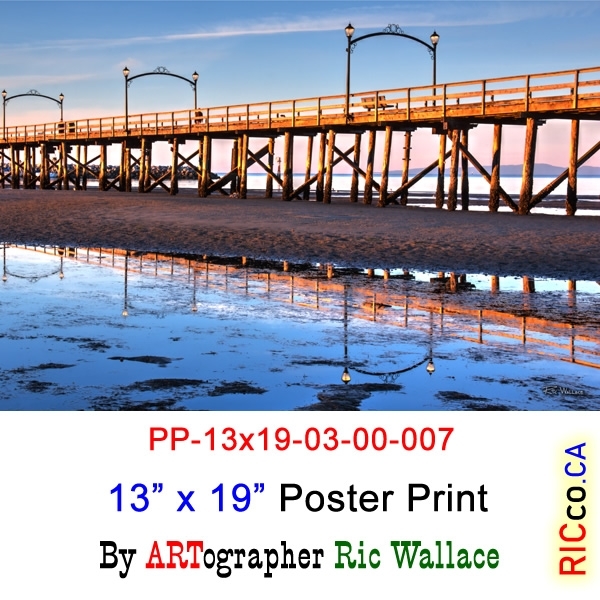 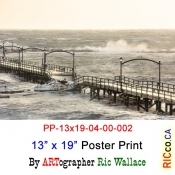 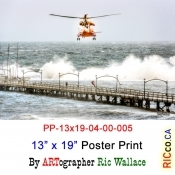 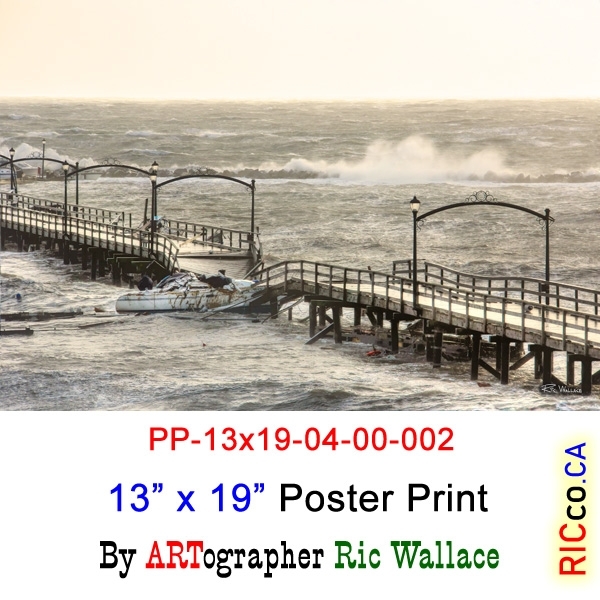 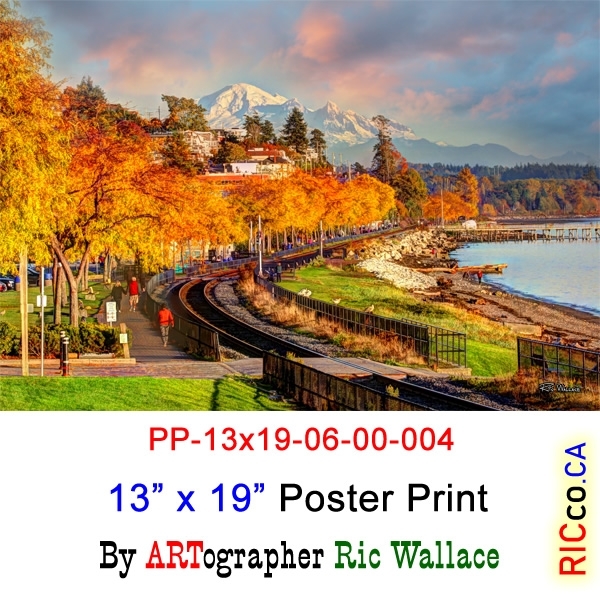 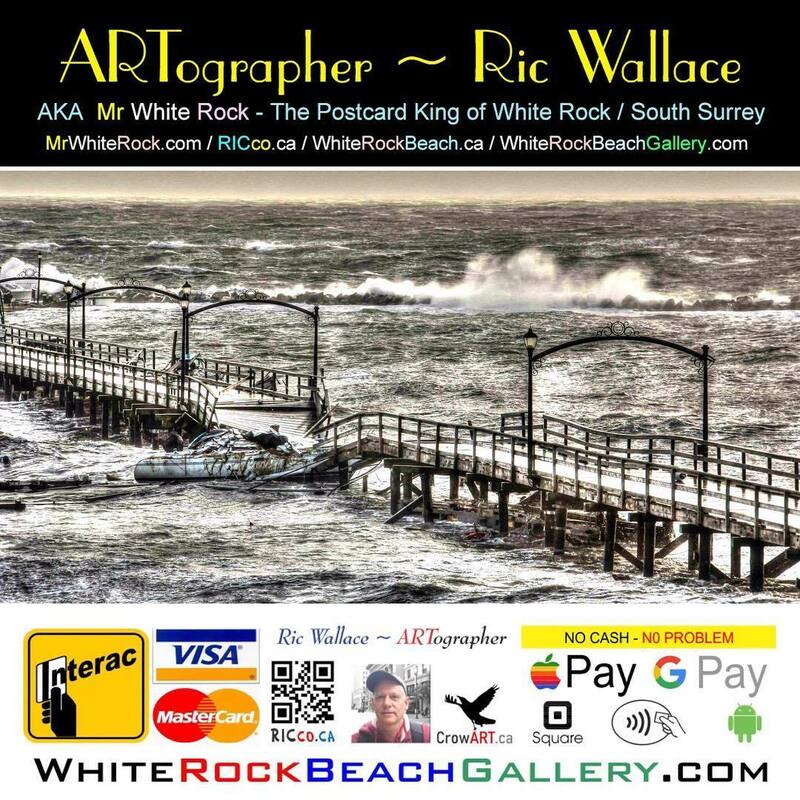 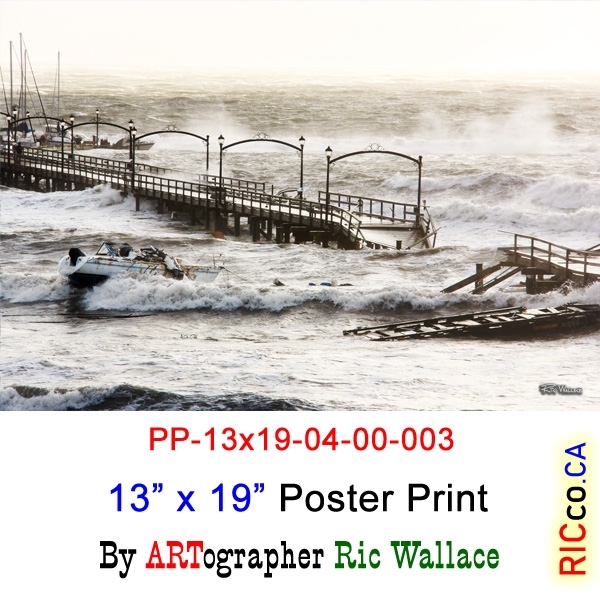 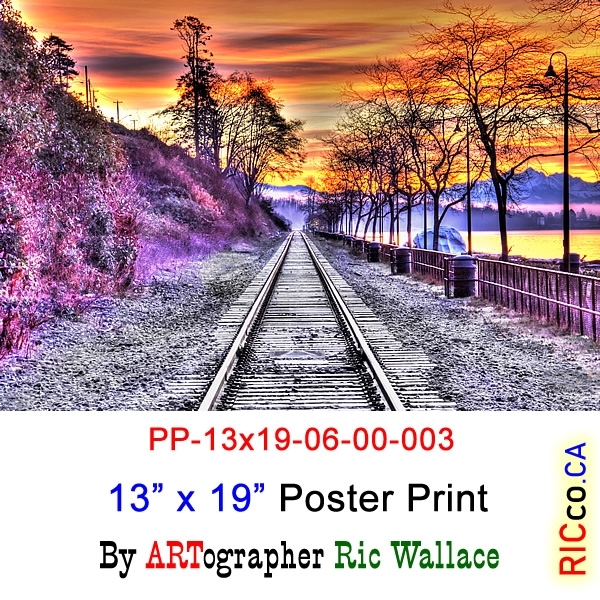 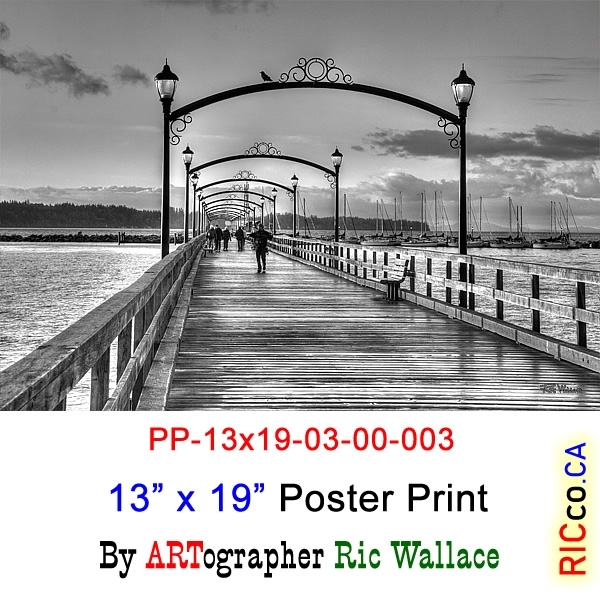 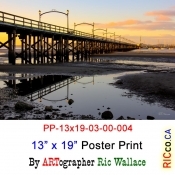 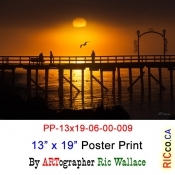 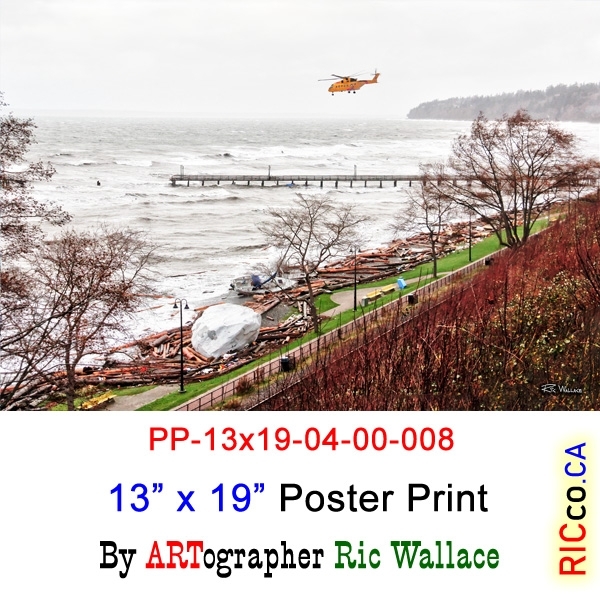 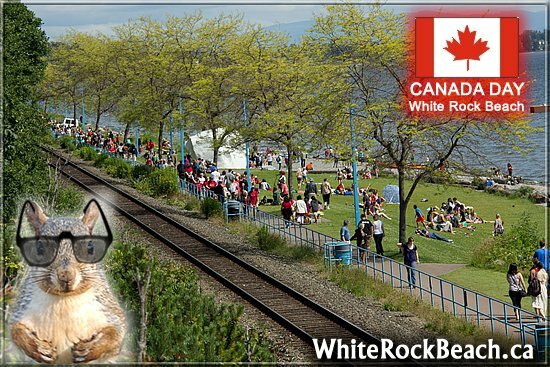 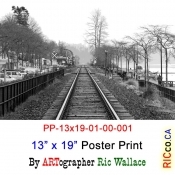 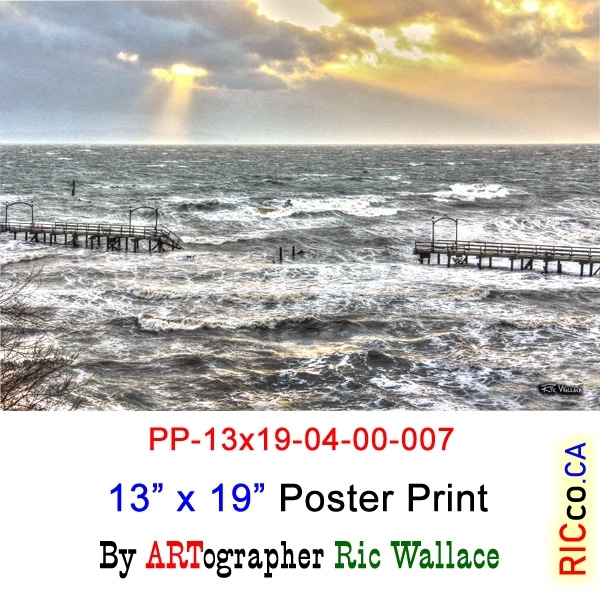 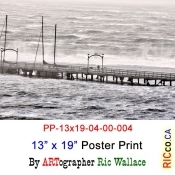 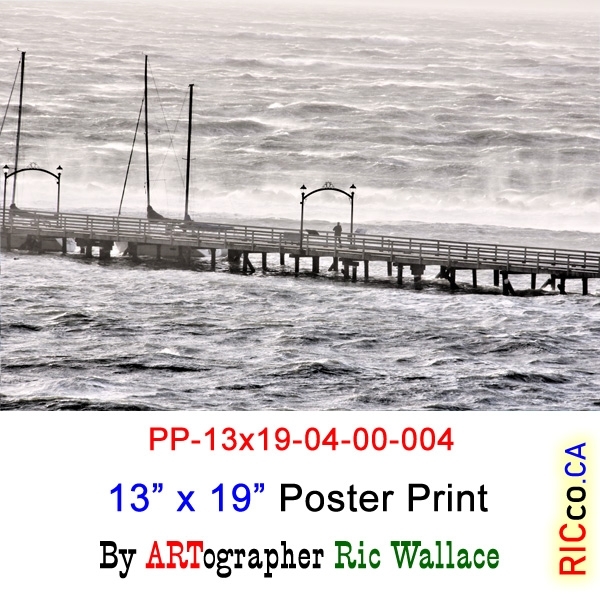 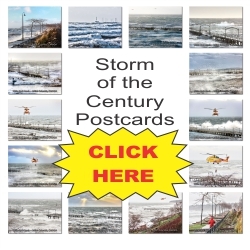 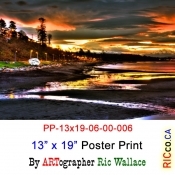 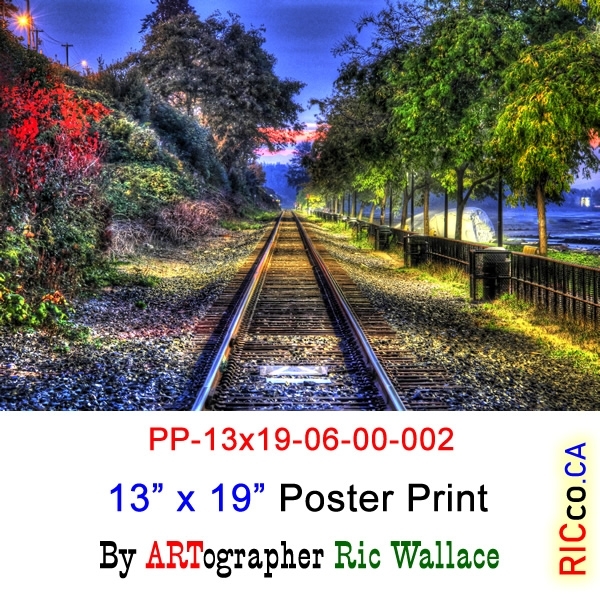 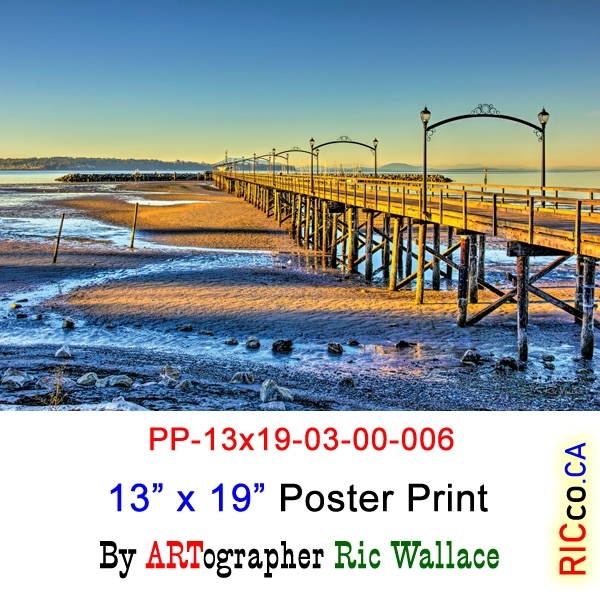 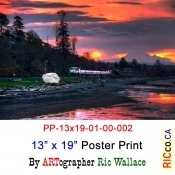 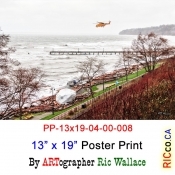 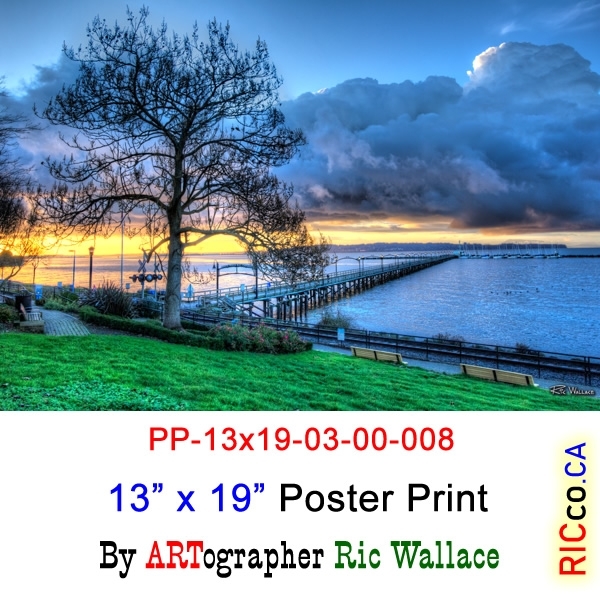 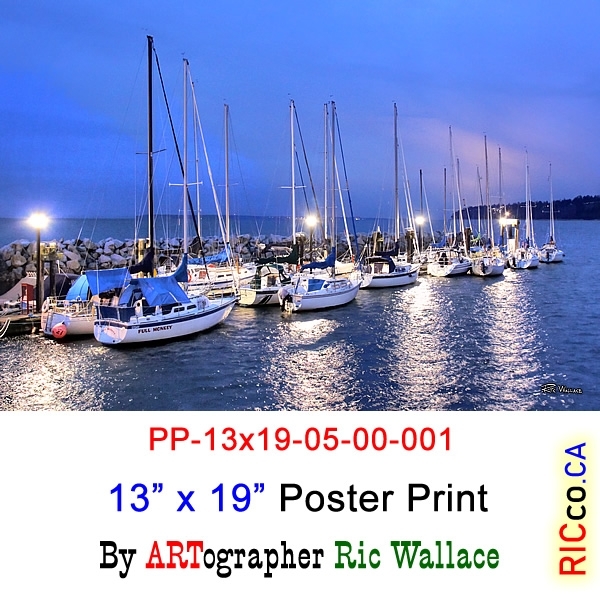 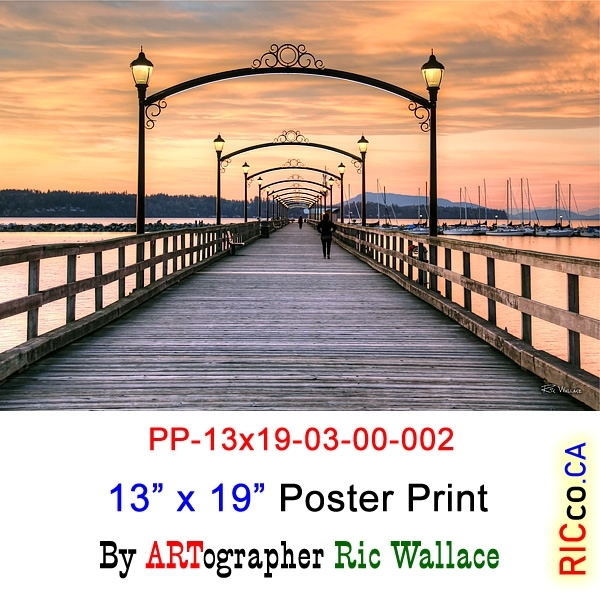 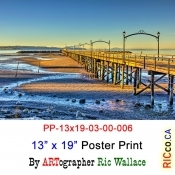 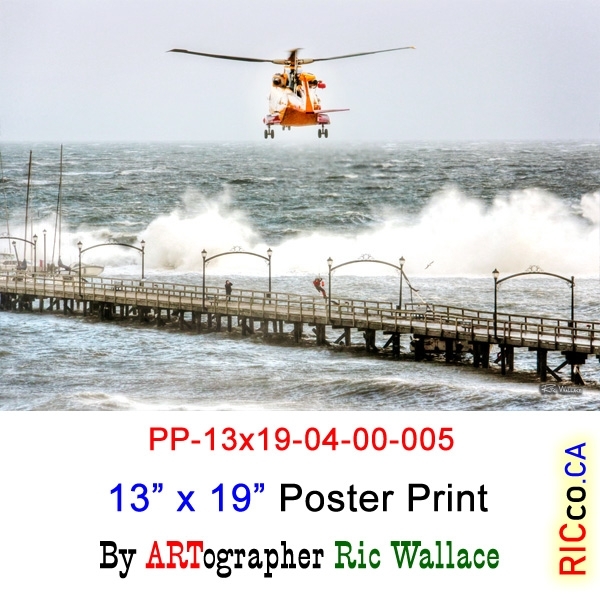 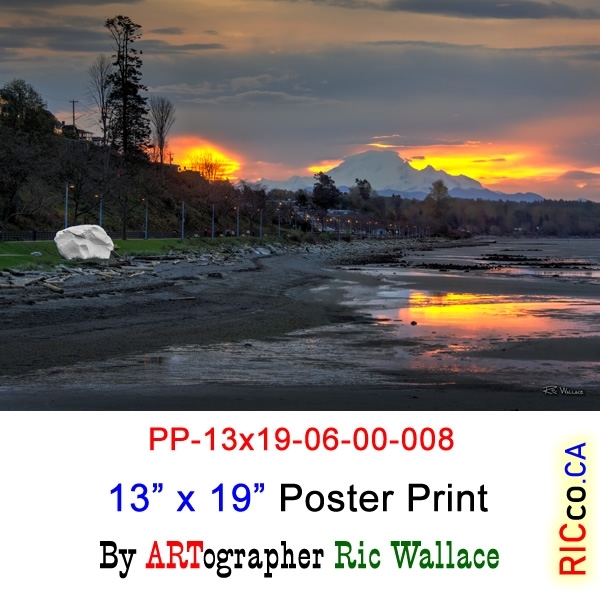 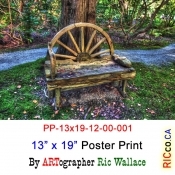 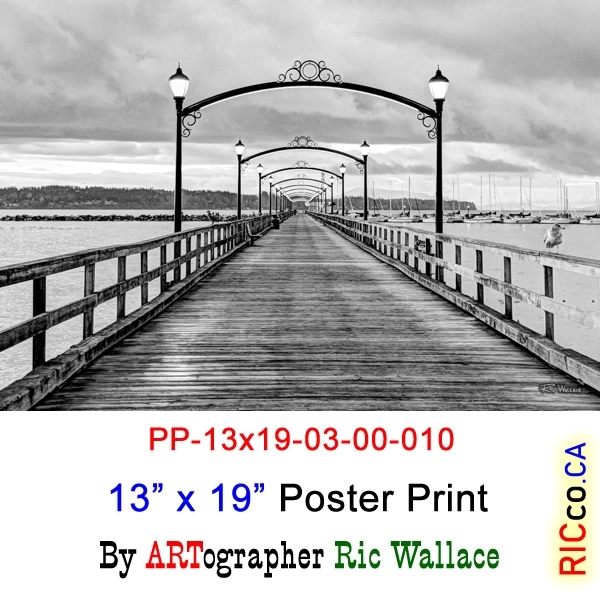 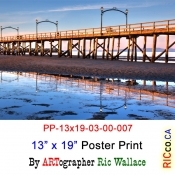 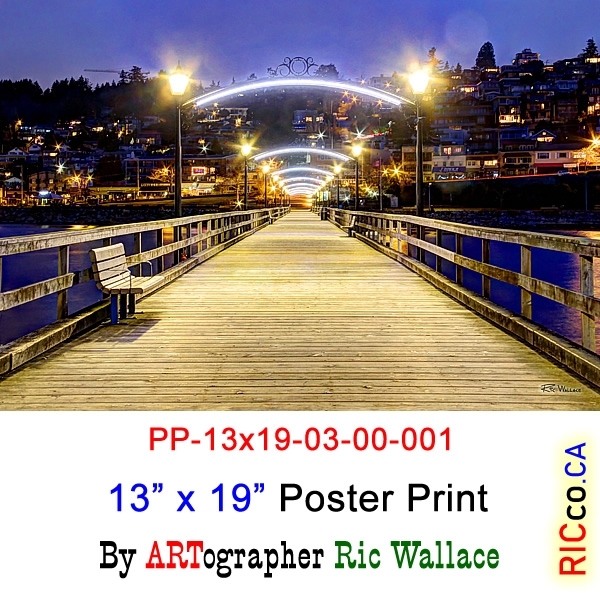 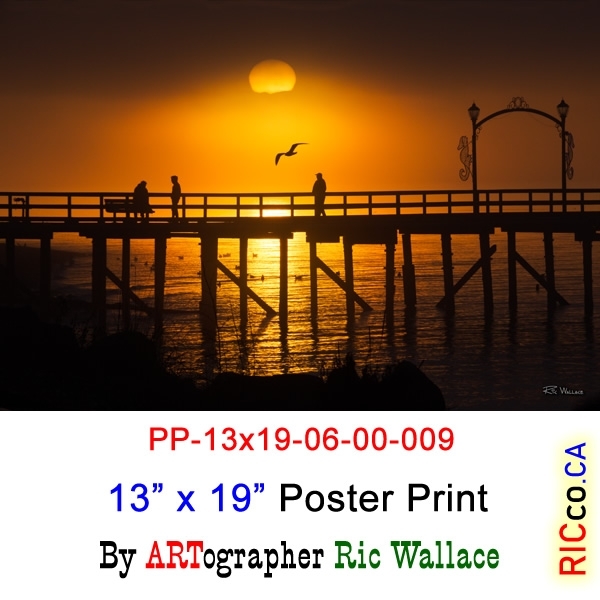 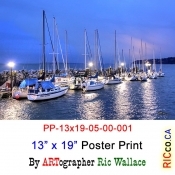 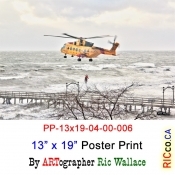 Ric Wallace of Virtual Edge Communications is the creator of 200+ White Rock Beach / South Surrey postcards and greeting cards and is also a master at retouching old or damaged photographs. 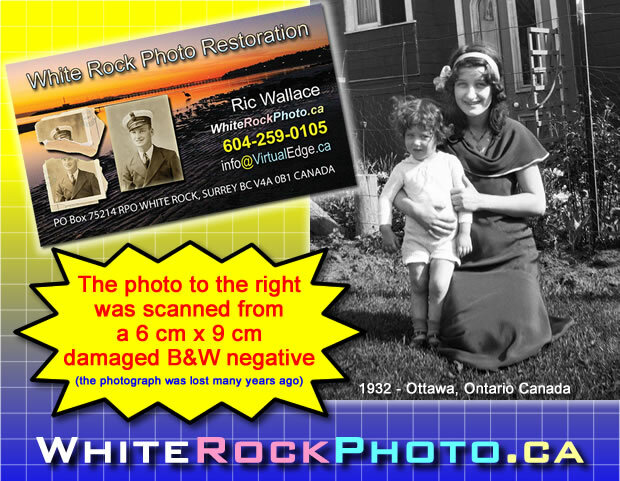 Ric offers a FREE quote on bringing those old photos back to life. The only thing he needs to know is what size of prints you want ie: 4″x6″, 5″x7, 8″x10″, 11″x14″, 13″ x 19″, etc. 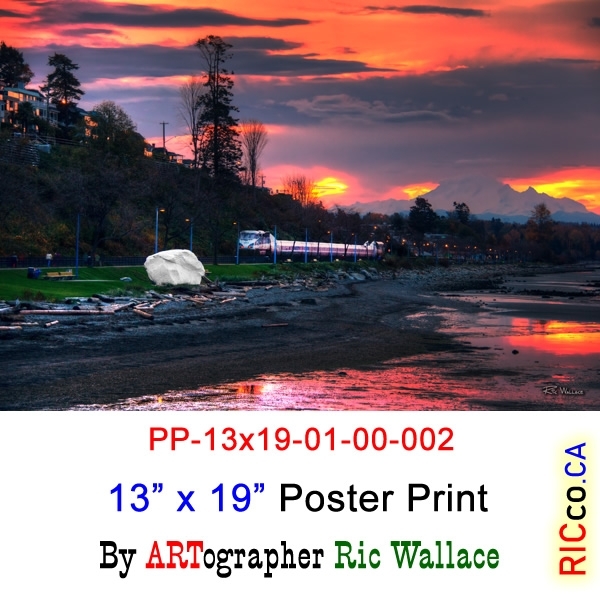 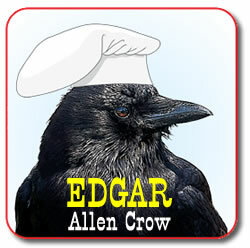 The final size needed will dictate the file size he has to work with. 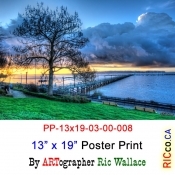 Large print sizes will need a bigger file size to produce the best quality. 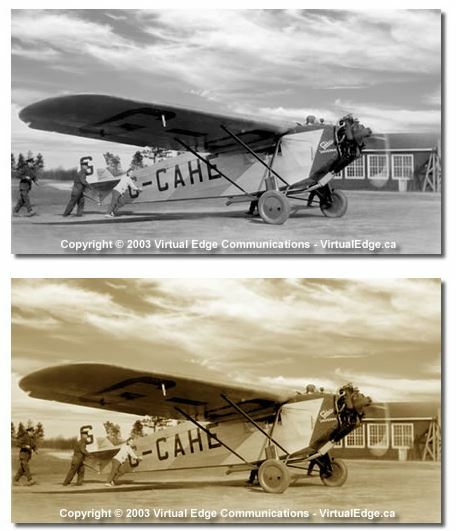 Old, torn and sometimes photos in two or more pieces can be restored to their original state or better. 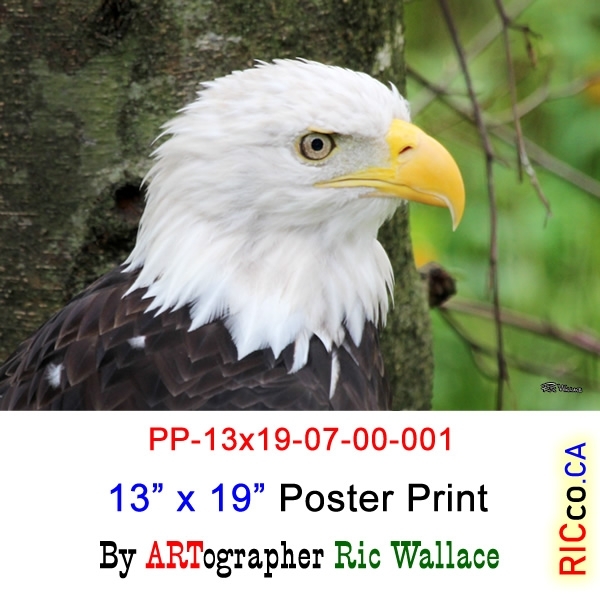 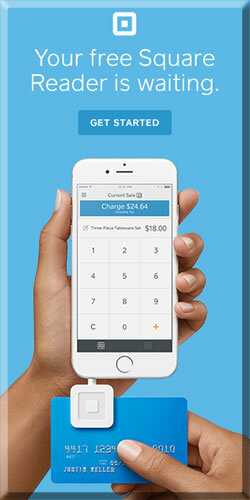 We do a high resolution scan from your original image and electronically use a computer to do the retouching and corrections. 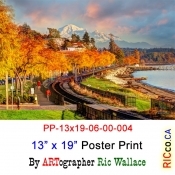 High quality photographic prints can be obtained from the computer file. 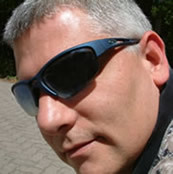 The computer file can be supplied on CD/ DVD to ensure exact copies can be made for years to come, with no loss in quality like prints made from negatives which will degrade over time. 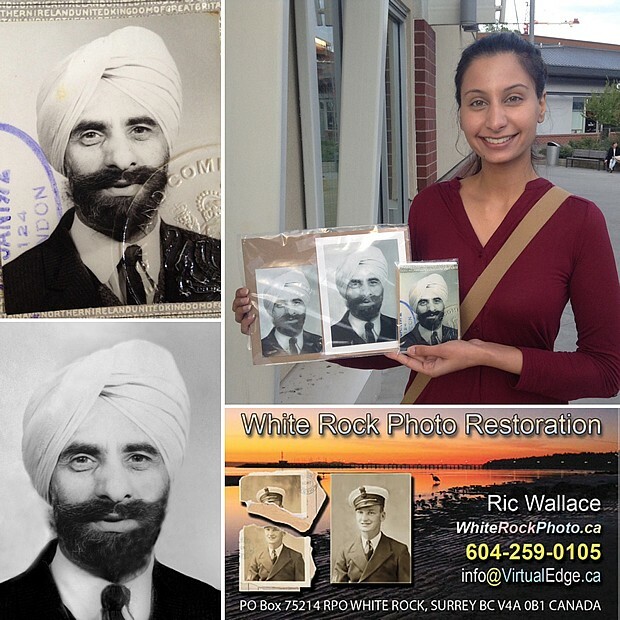 We have even taken passport photographs, restored them to a better than original state, and produced quality photographic enlargements for wall display. 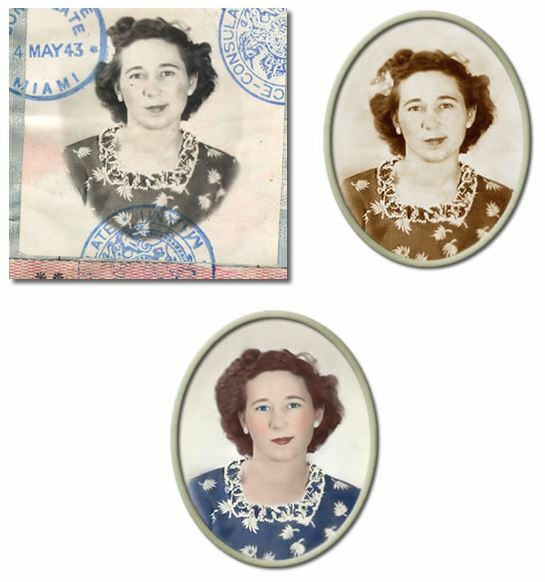 This service is invaluable for genealogy enthusiasts trying to put together family albums. 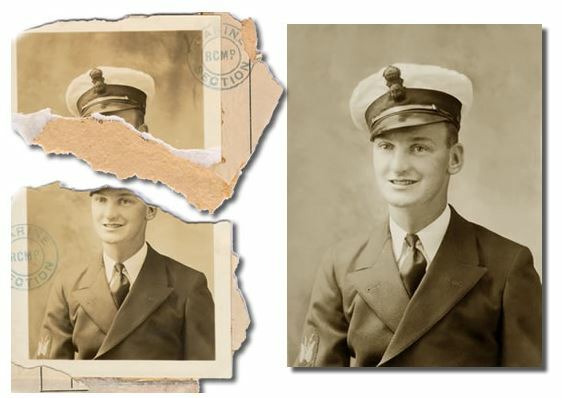 Old, faded, and cracked photographs can be brought back to life with our expert digital restoration techniques.